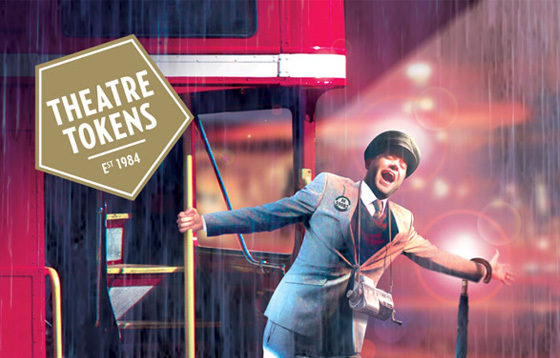 We're giving away £50 worth of Theatre Tokens to one lucky winner! You’ll be able to treat yourself to stirring romance, chilling thrillers, star-studded drama, magical musicals and side splitting comedy. Theatre Tokens can be used at more than 240 theatres nationwide. They can serve as a great gift, or simply as a way of seeing London’s hottest shows for free. All you have to do is answer the question below. And remember to visit our Show Merchandise Facebook page and Twitter feed for two extra chances of wining, plus all the latest theatre news and offers. Factory is based on a book by which author? No purchase necessary. The closing date for this competition is Thursday 31st October 2013. The competition is open to all UK residents. You can enter by 1) correctly answering the question on our blog page AND/OR 2) Following and retweeting the competition tweet via @showmerchandise AND/OR 3) sharing our competition post on our Show Merchandise Online's Facebook page. Multiple entries from the same entry method will not be counted. A winner will be drawn at random and notified within 7 days of the closing date. If the prize is not claimed within 7 days, we reserve the right to redraw. The information you provide above will be safeguarded under the Data Protection Act. No cash alternatives will be substituted for the prize. Use of a false name or address will disqualify any applicant from receiving the prize. Travel expenses are not included within this prize.